The 1983 American League West champion Chicago White Sox will forever be remembered by their trademark slogan "Winning Ugly." One of the stars of that colorful bunch that rocked old Comiskey Park was an unlikely hero, a twenty-five-year-old rookie from Northwest Indiana. Ron Kittle led the 1983 White Sox with 35 home runs, 100 RBIs, and Rookie of the Year honors. Now Kittle shares the adventures, struggles, and triumphs of his incredible journey. 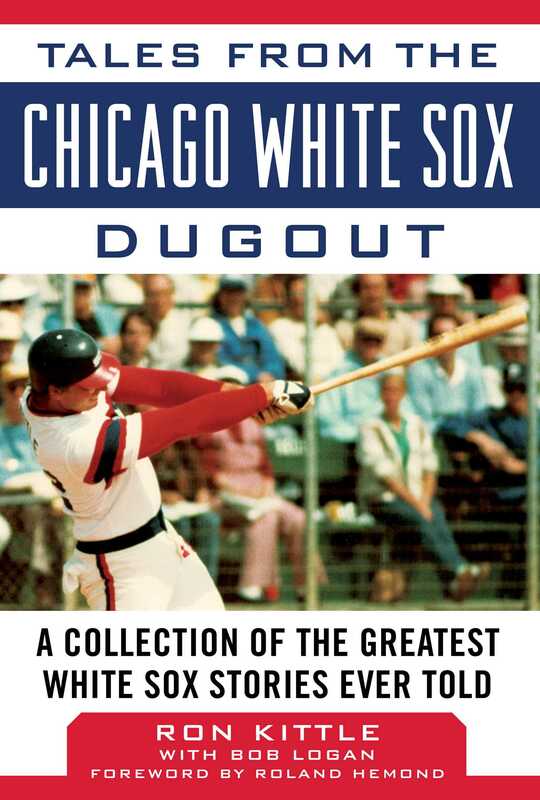 A one-of-a-kind collection of stories, anecdotes, and humor, this newly-updated edition ofTales from the Chicago White Sox Dugout opens a window into the life of more than just one Sox legend. Kittle shares insights about manager Tony La Russa, catcher Carlton Fisk, outfielder Harold Baines, Cy Young winner LaMarr Hoyt, and a host of others. Peppered with stories from on and off the field, Tales from the Chicago White Sox Dugout catalogs more than just stats and facts; Kittle shares inspiring stories of overcoming the physical pain he dealt with every day, as well as his dedication to raising funds for charity, adventures in the dugout, and so much more. Ron Kittle played ten seasons in the majors before retiring in 1991 with 176 career home runs. After his playing career ended, Kittle managed independent minor league teams and also worked as a sports analyst for local and national television. He is currently a goodwill ambassador for the Chicago White Sox and chairman of Ron Kittle Charities. Bob Logan wrote about thousands of players, coaches, managers, games, and assorted intriguing types in over thirty years as a morning newspaperman. He spent most of that time in Chicago, as a man for all sports and all seasons, covering them with a blend of humor and insight that provided his readers with a unique perspective. He died in 2006.